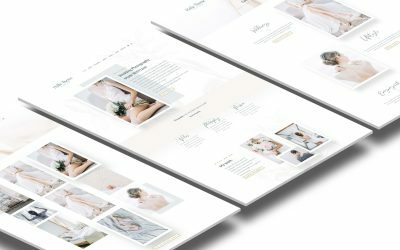 Crafting beautiful and functional websites for creative entrepreneurs and anyone else wanting to have an awesome little corner on the internet. I’m absolutely in love with this WordPress theme. Cristina does an excellent job and answered all my questions very quickly. I also purchased the installation of the theme and it’s worth it 100%, so I can now start working on my website’s design without worrying about the technical parts. I can’t say enough about Cristina’s service. She goes beyond average in her ability to be fast, amazing at graphics, coding and communication. I almost started crying when I opened my website for the first time and saw how beautifully everything worked together. It is SUCH a relief to find someone who does an amazing job. In the past, I have spent thousands of dollars trying to get my site up, functional and looking good. Cristina’s has finally done what I wanted all along, in such a short period of time! Yep, nothing but good to say about her and her amazing products. Buy from her. You won’t be disappointed! This is my second time working with Cristina. All of her themes are incredibly functional and provide a lot of wow factor. She provides a tremendous amount of value for such a low price. It would cost you thousands of dollars to have someone develop a website such as this not including the imagery and logos that she includes for FREE. Cristina is very responsive and helpful. If you are new to WordPress, I would highly recommend her setup service. fun in your inbox !